All of our orders are handled promptly and professionally...with great customer service. We all have the ability to access our intuitive capacities by leaning how to use a pendulum and pendulum charts. Learning to use a pendulum is like learning any other skill. It requires time, determination, trust, balance and persistent practice. Given this, success can be expected. Every object, animate or inanimate, gives off energetic radiation, and our expanded senses can feel and measure these energies. Our intuitive, or super-conscious mind is the recipient of this information when we bridge the mind and the intuition. The pendulum is only a communication device between the conscious and the subconscious mind or intuition. The pendulum itself does not gives you answers. It is nothing more than an object to give you the means or language to make conscious the Intuition. Successful use of a pendulum is a matter of establishing a clear, precise and consistent language between the two parts of the mind. The subconscious mind takes all communications literally. It takes time for the subconscious to understand what is expected of it and respond accordingly. It is necessary to approach the pendulum with enthusiasm, optimism and the confidence that you are able to use it. It is an incredible skill that can allow you access to information, knowledge and wisdom beyond all limitations. 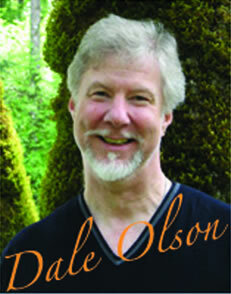 It is highly recommended that you refer to the books Knowing Your Intuitive Mind and The PENDULUM Bridge to Infinite KNOWING by Dale Olson for greater details on how to use a pendulum; how have a solid skill foundation; how to form and flow your questions, and the many dynamic ways that this Pendulum Chart system can be used. Copyright © 2019 GetIntuit. Powered by Zen Cart. Mobile Friendly Zen cart templates by Picaflor Azul.